Spent the morning at the National Cancer Institute, which really is a pretty amazing place, with a pretty amazing guy – Dr. Rafael Beltran. He’s one of the many incredible people I’ve met here – that truly make the world a better place through their work. I could have spent all day with him, seeing patients, surgery, discussing his cases and research – (Heck – I’d love to work with him!) but unfortunately, I had to race across town after several hours for another interview.. I really like this picture here, I think it highlights one of the important aspects of surgery – the surgical team.. As you can see above, Dr. Beltran (left) certainly doesn’t work in isolation – and that’s his philosophy about cancer care – the surgeons from different specialties work together closely, along with oncologists, radiologists, hematologists, therapists and other specialties to give well-coordinated, and well-rounded care. While I was the operating room, I stood next to a shy young woman.. After I badgered her for a little bit – she told me her story. She’s a respiratory therapist – and she was watching the surgery, so she would better understand how to take care of her lung surgery patients – and to understand exactly what they had been through. Not often do surgeons find room in their ORs for respiratory therapists – but Dr. Beltran understands that by having this young woman here observing – she learned more today than she could ever glean from books.. By doing so – he’s integrated her into the surgical team, and that’s important when often today’s medicine is an exercise in fractured and fragmented care. 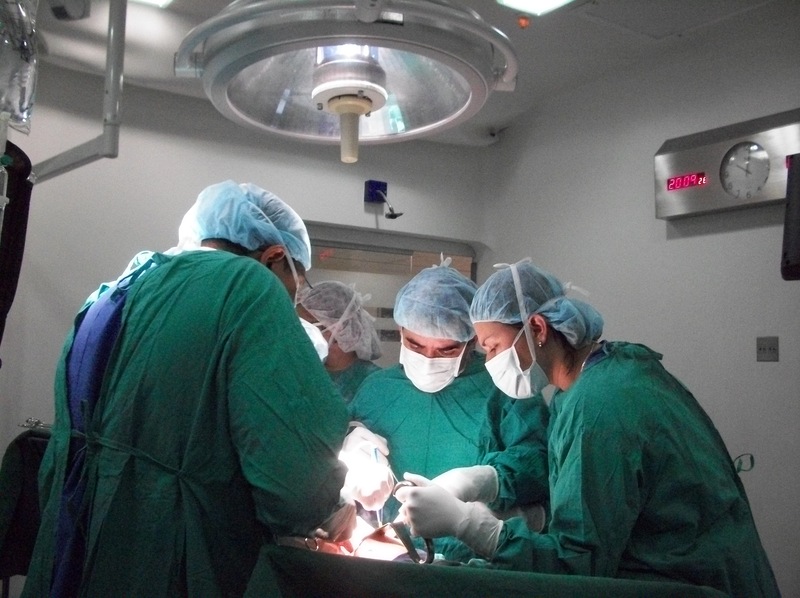 In the operating rooms all around us – the same thing was occurring, with orthopedics, plastic surgery, neurosurgery.. As you can tell – on all my visits to the National Cancer Center, I’ve been very impressed with the physician commitment and the level of care. As I raced off – I received a text that the doctor I was next scheduled to meet had to go to another hospital – he offered to meet me there, but he had an emergency, so I thought it best to reschedule for when he had more time. I’m really looking forward to talking to him – so I didn’t want him to be too distracted.. I get the best interviews when we can just sit down and talk..
Then – a thoracic surgeon we’ve talked about before – texted me that he had 2 interesting cases – did I want to go? 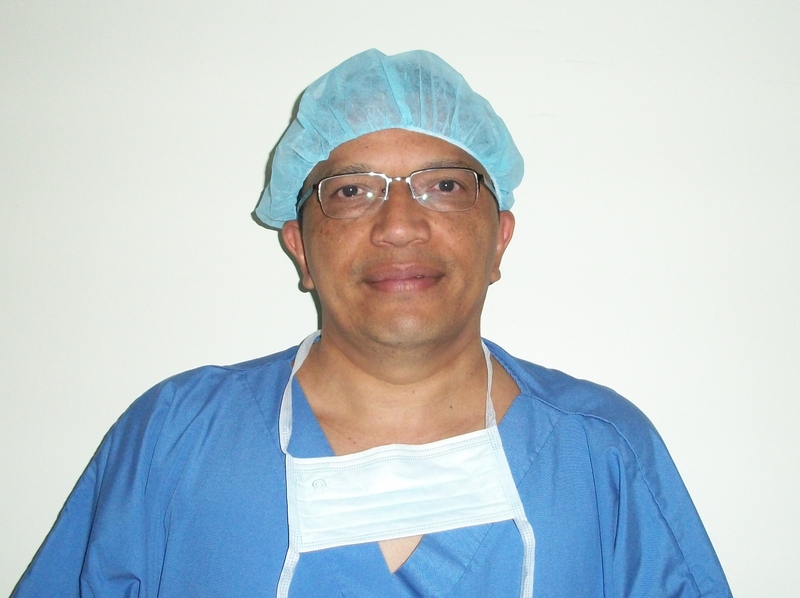 So I spent he remainder of the afternoon talking with Dr. Juan Carlos Garzon, thoracic surgeon. 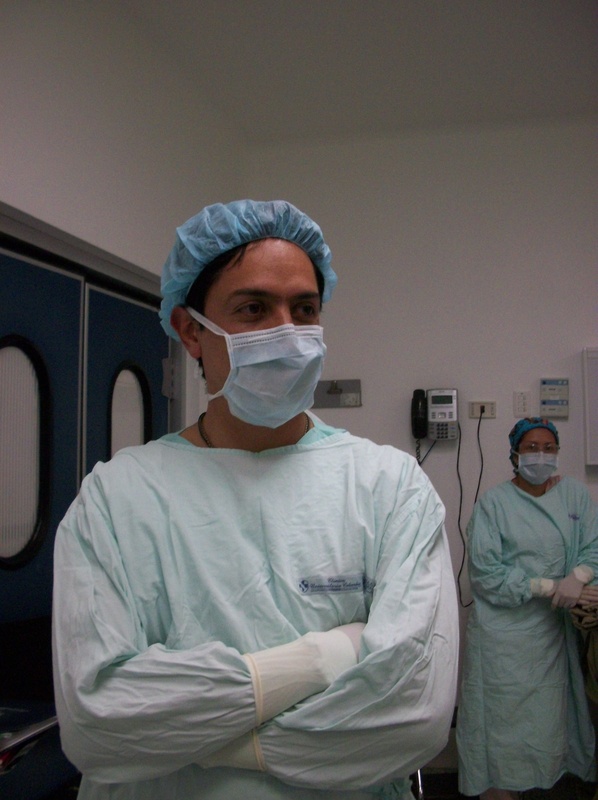 I’m glad I did – because I had lots of questions from our previous interviews, and between cases, he spent the time to answer my lingering questions; about his practice, about thoracic surgery in general, and about Colombian medicine so it was definitely a worthwhile trip..
Dr. Juan Carlos Garzon, Thoracic Surgeon.. This entry was posted in Thoracic surgery and tagged Bogota, cancer surgery, cirugia de torax, Colombia, Dr. Juan Carlos Garzon, Dr. Rafael Beltran, empyema, guide to surgical tourism, integrated cancer care, lung cancer, malignant effusions, Medical Tourism, multi-disciplinary care, National Cancer Institute, patient centered care, thoracic surgery. Bookmark the permalink. I basically knew about much of this, but with that said, I still thought it had been practical. Good post! I´m proud for this article, the comments about Dr. Rafael Beltran describe exactly this excellent friend. 30 years ago we are friends, and he keep the same. He is amazing!! If I could work with him every day – I would – he has so much to teach, and offer the world, particularly his patients.